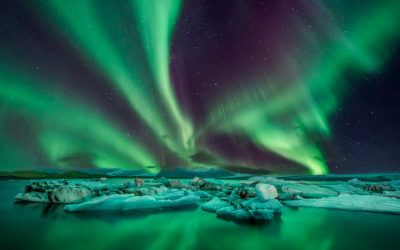 Traverse across a glacier, feel the heat from hot springs and take in the remarkable rugged landscape with this Iceland Highlights Tour – where you’ll travel through and experience a tour like no other, all set against an astonishing backdrop and totally unique natural world! 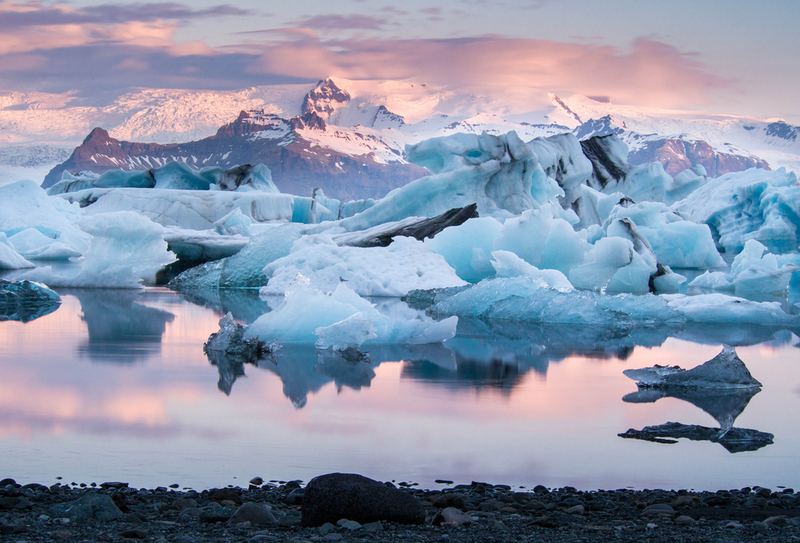 Starting in Reykjavik, embark on a journey through nature that includes national parks, jaw-dropping waterfalls and black sand beaches. 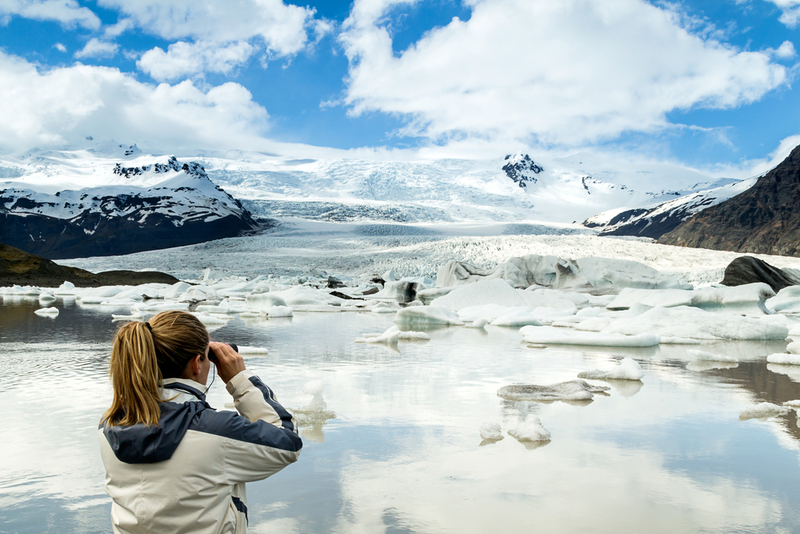 Your private Tour Manager will introduce you to the highlights of “The Golden Circle” as well as the south coast, taking you all the way to the Iceberg lagoon and back. You’ll even stay in a small countryside lodge all in the hopes of catching the northern lights, Aurora Borealis – a true life bucket list item. 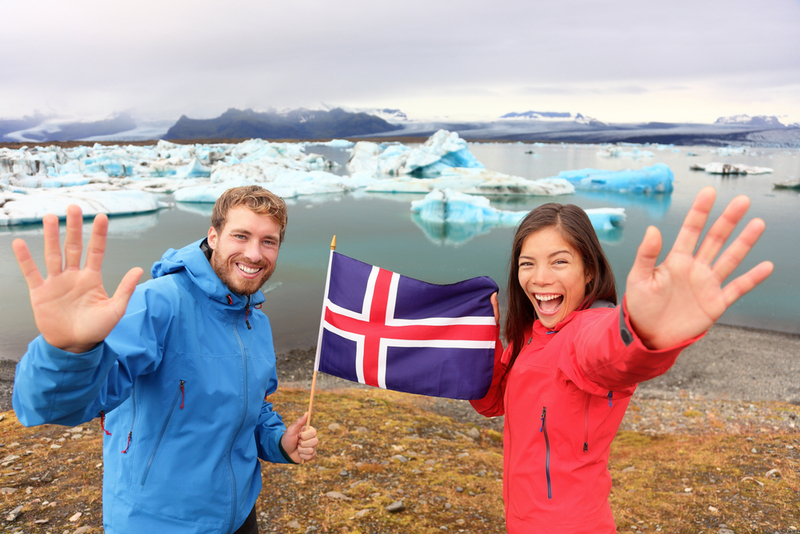 So enroll online today and join us on this unique experience to discover the very best of Iceland! 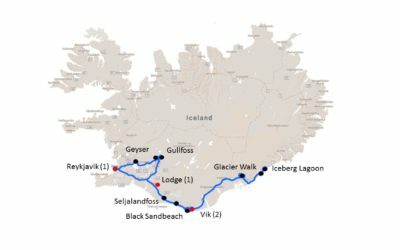 This tour will take you from Reykjavik to Vik via the Golden Circle and onwards east along the south coast. Your one night stop-over in Toronto on the way home is not illustrated above. In October the chances are slim for spotting the Aurora Borealis, or the Northern Lights, but it does happen. You will spend one night away from the city lights in order to give you the best chance of seeing them. Depart from Nashville (BNA) on an overnight flight to Iceland (KEF) via Toronto (YZZ). Arrive in Iceland and be greeted by your Tour Manager, Ailbe Coffey. 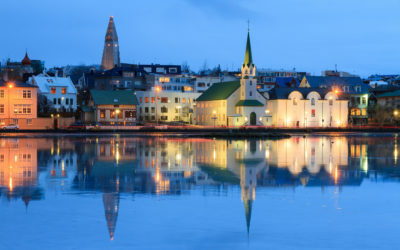 Take an introductory walk of Reykjavik and visit the National Museum, followed by a welcome dinner in the evening. Today is all about the Golden Circle where first you’ll stop at Thingvellir National Park and see where Europe and North-America meet in a stunning landscape. 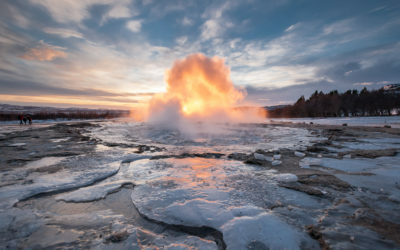 Then, continue onwards to the Geyser hot spring area and take a walk and admire the Strokkur geyser as it bursts into the air. The “Golden Waterfall” is up next as it flows down from the Langjökull glacier in cascades. The day ends in the coastal town of Vik where dinner awaits. 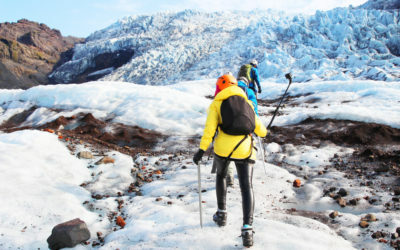 Experience the Skaftafell Nature Reserve on a two-hour glacier hike; there's no need to be in particular good shape for this activity, but you’ll have crampons and axes for support. 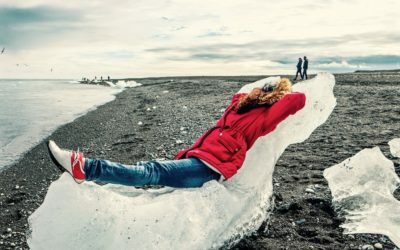 Then, carry onwards to the Jökulsárlón Glacier Lagoon with its floating icebergs, followed by a visit to the “ice beach”. Dinner and an overnight stay back in Vik. Start the day with a visit to the black sand beach to admire the beautiful basalt columns on the sand that rise from the sea. 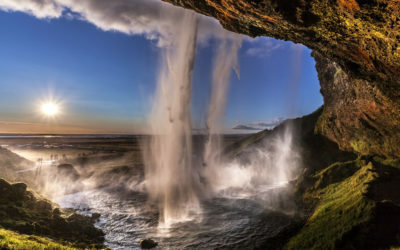 Continuing westbound, your next stop is the Seljalandsfoss waterfall, where you’re able to walk behind the cascading water. 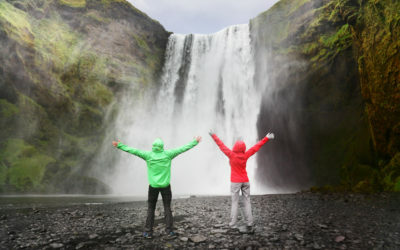 Then, continue west for stunning views over the Hekla volcano on route to your second waterfall stop – the majestic Skógafoss with its streaming glacier water. Spend the evening in a countryside lodge to increase your chances of spotting the Aurora Borealis. Visit another hot spring area in the morning and later tour the Reykjanesbaer peninsula. A refreshing stop at the Blue Lagoon Spa for a hot water clay treatment is next on the list, before transferring to the airport for your return flights in the evening. Arrive in Toronto and spend the night with dinner at the airport hotel. Board your flight in the morning to Nashville, USA. In Reykjavik you will find the sculpture "Sun Voyager" with references to the Vikings, the geography and the Atlantic ocean. For any further information, please contact your Group Leader or email us directly.